You’re probably thinking the car in the picture above is some sort of modified Porsche 911, but then you’d be wrong, because—despite its looks—it’s not a 911 at all. It’s a RUF SCR 2018, and its platform is completely custom-built. RUF just debuted at the Geneva Motor Show its new SCR 2018, a 2,755 pound, carbon fiber Porsche-inspired sports car powered by a 510HP, 4.0-liter naturally aspirated six-cylinder boxer engine. Looking at the chassis image above, the new SCR is clearly built on the same basic platform as the RUF CTR, which debuted at last year’s Geneva Motor show as an homage to the “CTR Yellow Bird” from 1987. Yes, that’s a completely custom architecture, even if this new SCR does look like an old 911 SC (on which the original RUF SCR from 1978 was based). 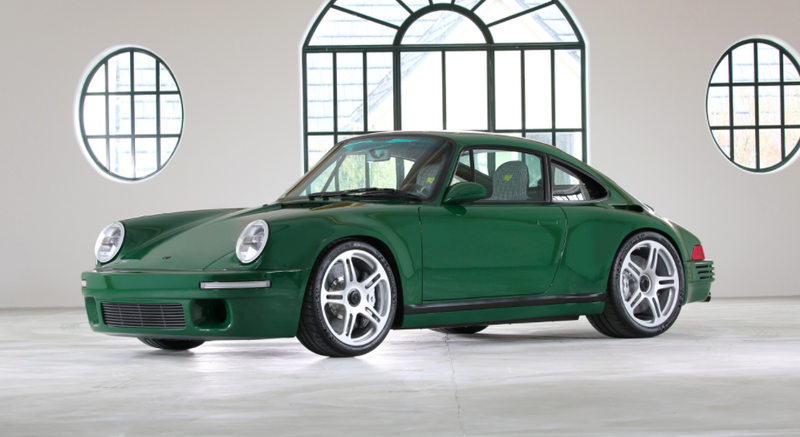 RUF says it spent two years developing the SCR 4.2 prototype that debuted in Geneva in 2016 (but that car, RUF said, “[started] as a 993") to get the production SCR ready for this year’s debut. Some more specs: The RUF SCR’s engine makes its 510 ponies at a stratospheric 8,270 RPM, and its 347 lb-ft of max torque come in at 5,760 RPM. All of that gets sent through a six-speed manual, and can bring the little green non-Porsche to a max speed of 199 mph. The suspension is a push-rod design at all four corners, and is ultimately attached to a carbon fiber monocoque with a full carbon fiber body shell. Fuel economy, which seems like a silly thing to even mention for a car like this one, is about 17 MPG combined. There’s no mention of production numbers or cost, but last year’s CTR demanded $793,000, and only 30 were built. So this SCR probably won’t be cheap or particularly easy to get your hands on.